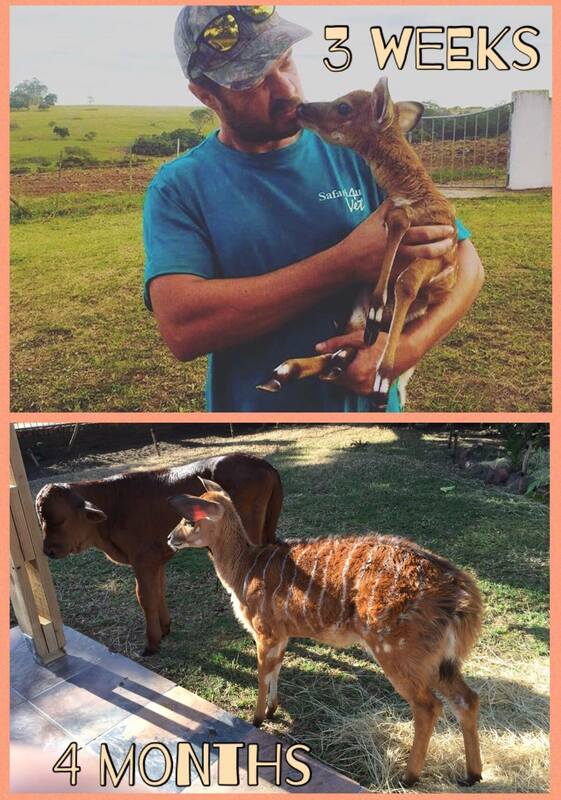 We were requested to help with a nyala calf who was only 3 weeks old and struggling. The reserve owners saved her from getting kicked by emus on their farm when her mother left her in hiding while she went to forage (it’s a normal behaviour for nyalas with calves up to one month old). They didn’t realise that you can return calves up to 3 days later and the mothers will still accept them and were unfortunately given varying advice on handraising. Once she was in our care, we sought experienced help and guidance and within 24 hours, she was already feeling much better. We have been given special permission as her caretaker to keep her in her current situation in order for her health to be monitored. 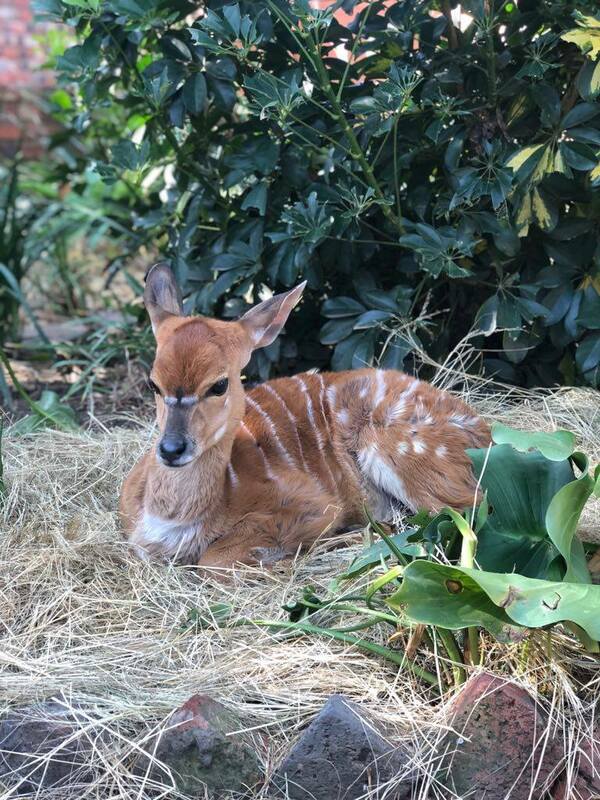 In no way does Safari4u endorse any wild animals as pets and the long term aim is for Lala to be moved to a reserve suitable for a tame antelope but as nyala only start weaning at 6 months, we still have a little while left with her in the current situation.